We are Aaron, Hannah, and Odette(the baby) Townley! A small family living in Shasta Lake, CA. 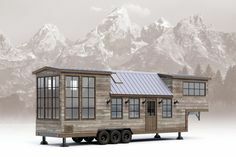 We are building a Tiny House, one of many that will go in our Tiny House Community. Follow our journey here and learn a little bit about the great town of Shasta Lake!